Time magazine's "Man of the Century", Albert Einstein is the founder of modern physics and his theory of relativity is the most important scientific idea of the modern era. 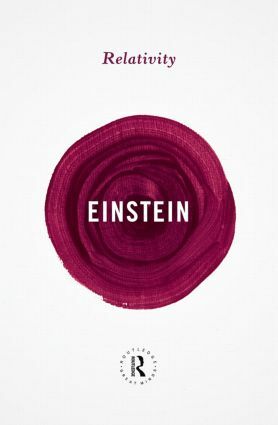 In this short book, Einstein explains, using the minimum of mathematical terms, the basic ideas and principles of the theory that has shaped the world we live in today. Unsurpassed by any subsequent books on relativity, this remains the most popular and useful exposition of Einstein's immense contribution to human knowledge. With a new foreword by Derek Raine.